Thank you Jeff Minter. All hail the Yak. King of the Webs. Jeff, TxK is amazing. T2k is amazing. THANK YOU. Yep! Jeff is one mega cool dude. This will be an awesome addition to the Jaguar library with all the Jeff Minter fans we have. Good to see. 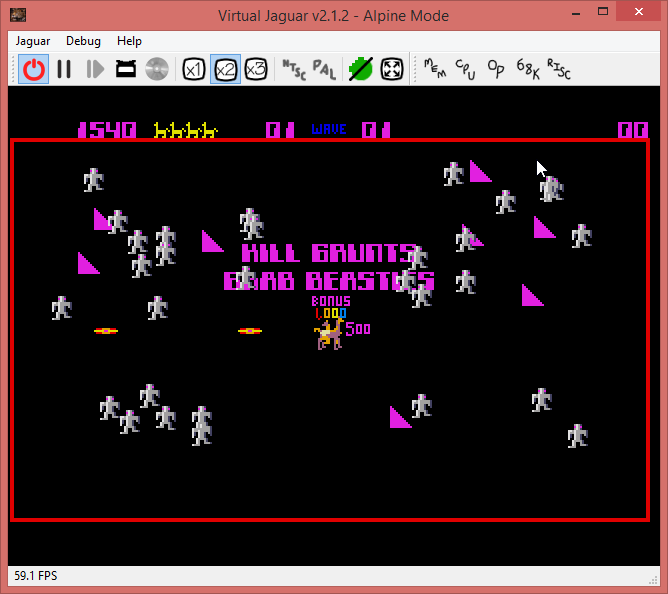 A third Jeff Minter game on the Jag!! (three right? ), it doesn't get better than that! Awesome things happening around here lately! Edited by ovalbugmann, Wed Jan 28, 2015 3:12 PM. Just looked up TxK(Tempest 10,000? ) on his site, and wow it looks good! I've got to get me a PSvita! Also just downloaded his gridrunner for android - everything else is for ios/osx lol, i guess i have to get an iphone for all the others. Edited by ovalbugmann, Wed Jan 28, 2015 4:01 PM. When I get this finished, everyone send Jeff 5GBP for Llamatron. 24 years later, I'm sure he'll crack up laughing. I'm going to buy his pc games from Steam as well. 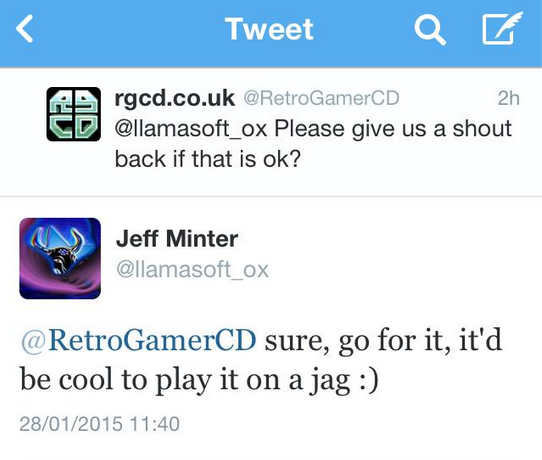 I'd love to see people trying to play Llamatron with a jagpad instead of 2 joysticks . Got audio working. Will patch up a few things later and post a binary. I have this vision of a specially crafted twin joystick jagpad to play this game... Much like you need the rotary to play Tempest . Oh it crossed my mind as well... imagine some poundstretcher discount store being raided of its £3.99 unsaleable junk and a new jaguar peripheral, complete with certificate of authenticity, holographic sticker, collectible trading card and to top it all - shrinkwrapped box - appearing on eBay for £300.00 buy-it-now or best offer. Careful, sh3. You're approaching CJ's level of cynicism quickly. OK, this one has sound but still needs a bit of work. Progress, though! Meeting, speaking with and interviewing Jeff was one of the highlights of my gaming life. Oh 1994, please come back. Please? Good to hear the progress on this. Kind of, but I don't see the point when there's no permission from any of the other game authors/software companies/whatever... sort of shouts "hey, we actually are allowed to do this this this one, unlike all the others..."
Weirder still was the way RGCD requested the permission... luckily those tweets have been zapped into nonexistence, because that was all kinds of comedy. 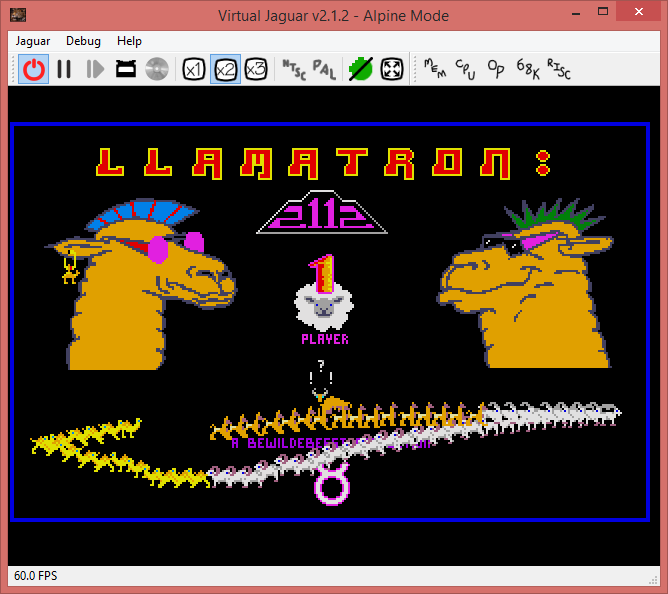 CyranoJ you keep this up you'll have more St conversion than Atari official Jaguar Release within two months! We're finally getting to the point where I need a skunk or something. 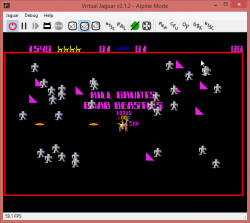 Will give this some serious playing in emulation now. Thanks for doing this, CJ. I love Robotron like no other golden age arcade game, and Llamatron is one of the very few home computer exclusives I really, really needed to have on a console. 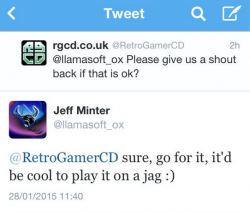 Now it's a Jaguar console exclusive thanks to you and the man of hooves! I wonder if the adress is still current? Edited by 108 Stars, Thu Jan 29, 2015 11:56 AM. 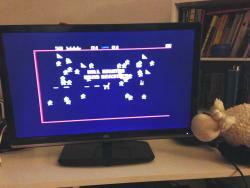 The first game I bought was by Llamasoft (AMC on the C64). 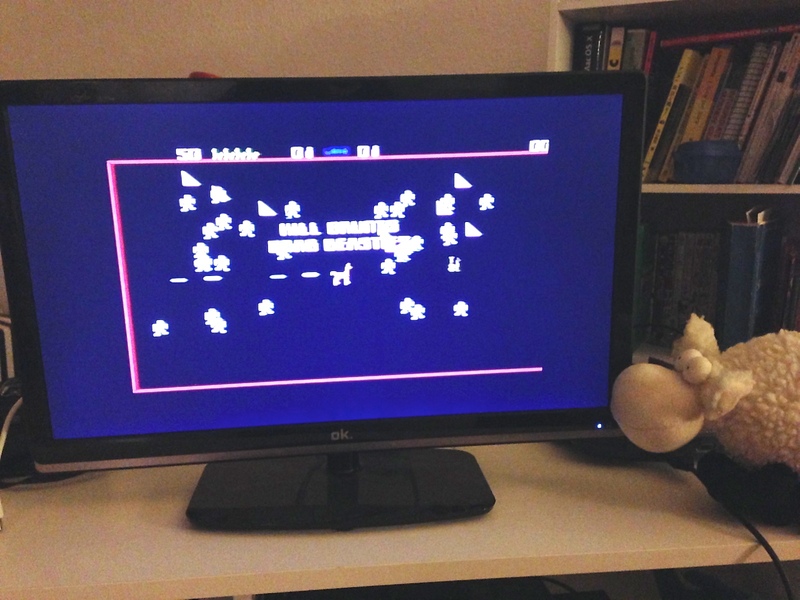 When he did his Space Invaders hack (Beast Invaders), I asked him if he could send me the rom, which he promptly did. His mobile games are also really good. I'm going to tweet Jeff a photo of this loaded up on the Jag tonight if thats cool with you. I'll check back in before doing so.. Your screen isn't centered. There's a line down the right as well.